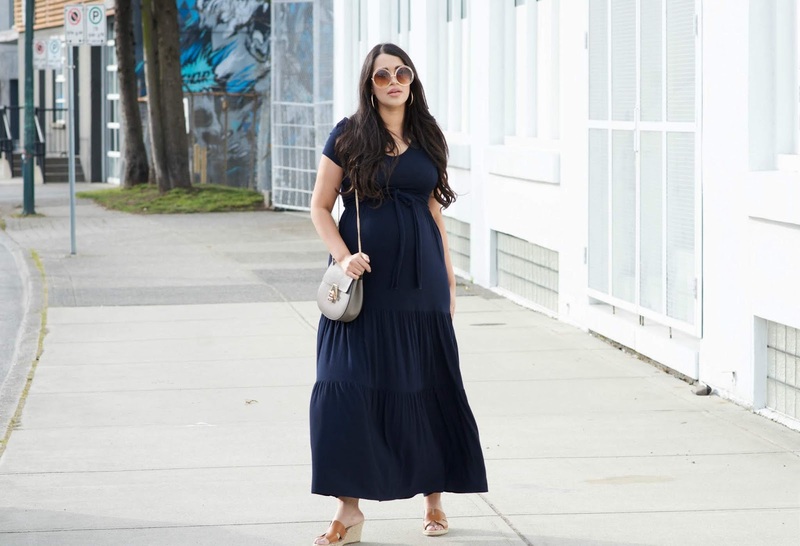 Maxi dresses are my absolute favorite thing right now and the funniest thing about them is whenever I wear one Harrison calls me 'princess mommy' - it's so cute. I wore this exact dress to Harrion's birthday party back in February and it has become one of my most worn dresses of this pregnancy. 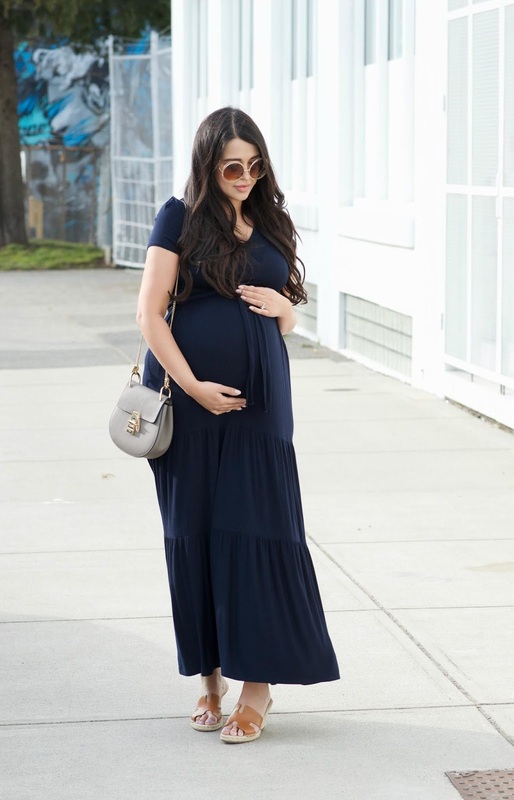 It's incredibly soft and super stretchy and can be worn post-partum as well! It comes in three colors as well an the fabric is also stretchy enough for nursing. My wedges are from last summer, but are seriously so easy to walk in and so comfortable - I've been wearing them non-stop lately.